Meet Australians Rachel and Skip, two fellow travelers who will have quite a story to tell when they return home. 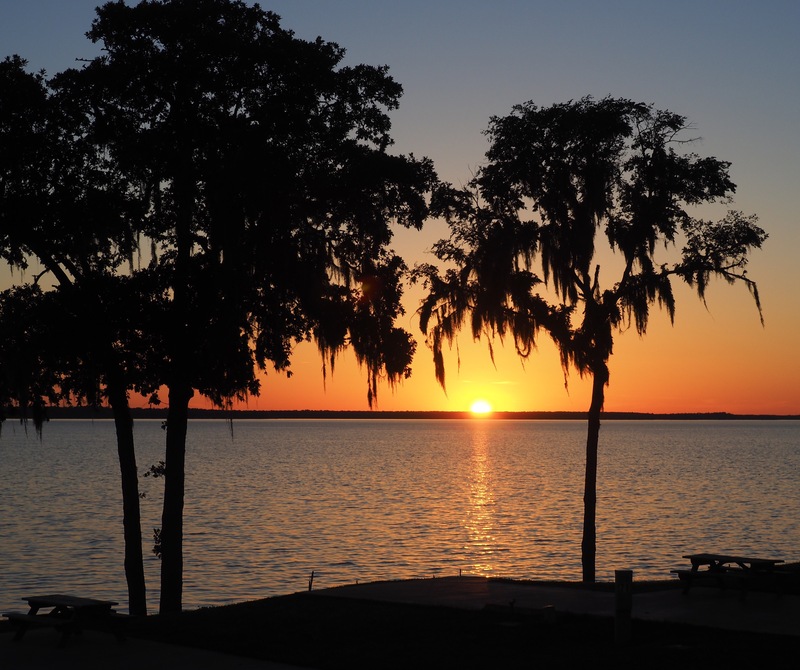 Our paths crossed today at the Onalaska KOA campground along the shores of Lake Livingston in eastern Texas. 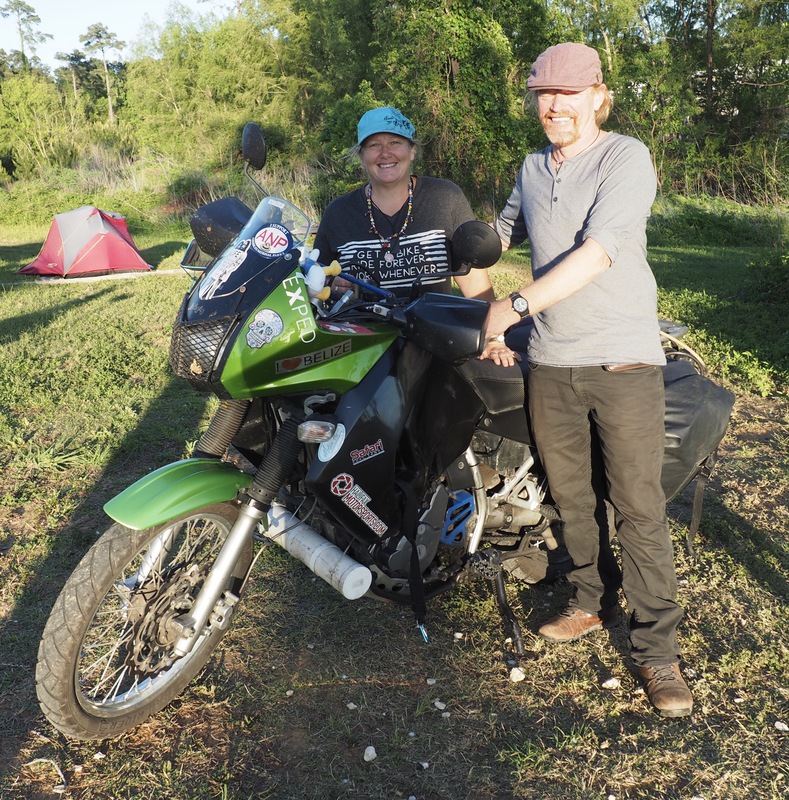 As we head east, they are heading west on the home stretch of a year-long motorcycle odyssey that has taken them on a crisscrossing journey, tent camping their way through the U.S., Canada and into Mexico. Positioned just below their motorcycle windshield is the above reminder that life is short. Rachel and Skip claim to be “not escaping life, but just stopping life from escaping us!” We couldn’t help but admire their spirit of adventure. So, as the sun sets in Onalaska, Texas we wish Rachel and Skip safe travels and many new adventures to come! Tomorrow we will cross into Louisiana, headed toward new adventures of our own. Thanks…the next time we face a “severe thunderstorm” forecast, we are heading for a motel! 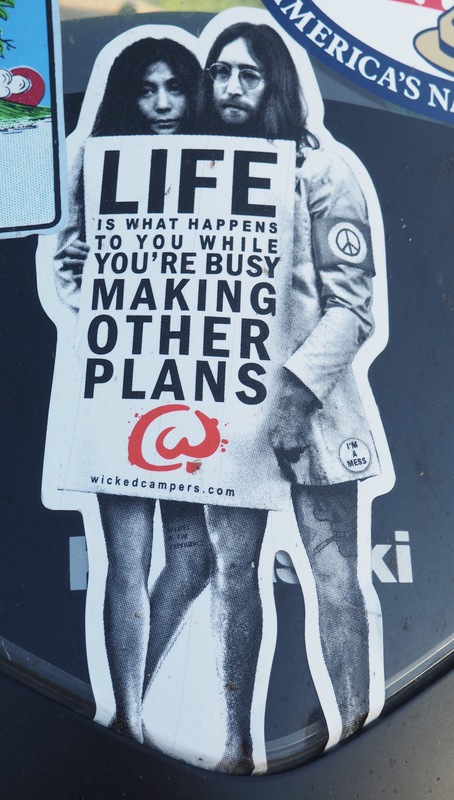 Keep on traveling and have fun. Thank you! I have wondered if there would be enough interest in an RV trip presentation. Perhaps I will give it a try. Meanwhile, adventures await!